Forest Rise Eco Retreat is an award winning, eco certified retreat offering 10 timber and rammed earth luxurious chalets and a homestead, secluded in a tranquil forest, on a 240 acre private property. Romantic and luxurious, these self-contained chalets offer candle-lit spas with sky-view windows and piped music to the bathroom, king beds and fluffy towelling robes for after spa relaxation. 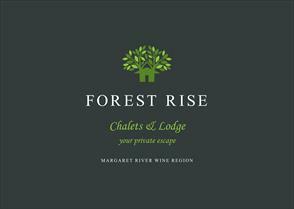 Indulge yourself in luxury spa chalets secluded in tranquil forest surroundings. These 4.5 star chalets feature a king-size bed, comfortable fluffy robes and a large oval spa with sky-view window. Guests staying in our luxury two bedroom spa chalets on the edge of the forest can take a short stroll to the lake and jetty. These four and a half star chalets feature two king-size beds, comfortable fluffy robes and a large oval spa with sky-view window. Relax in a luxurious and spacious homestead and surround yourself in the tranquillity of the forest. Featuring two bedrooms, both with macro-suede king beds, contemporary modern art works and a private swimming pool.